Nightingale Dental & Implant Centre has been established for over 10 years, and is now a well known practice in Sandhurst, Berkshire. We aim to utilise our expertise and experience to provide our patients with the highest quality dental care. Within our modern, relaxed and comfortable surroundings, we are proud to offer the highest standards of general and cosmetic dental treatments. Our success and growth is built around our patients and listening to them and their needs. This is why most of our new patients come from personal recommendations. 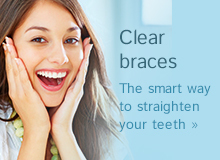 At Nightingale Dental & Implant Centre, we are able to provide a wide range of dental treatments under one roof. 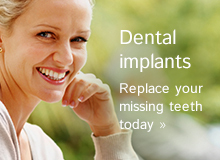 From NHS dental treatment to the best in private care. So if you are looking for a family friendly and caring dentist then please feel free to give us a call. We look forward to hearing from you. 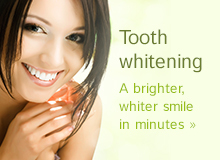 We currently have a Special Offer on Philips Zoom Tooth Whitening for £349, for a limited time only. Give our friendly reception staff a call today. Private Patient Out of hours access.